Who wants a cookie? Why not make it a cake?! 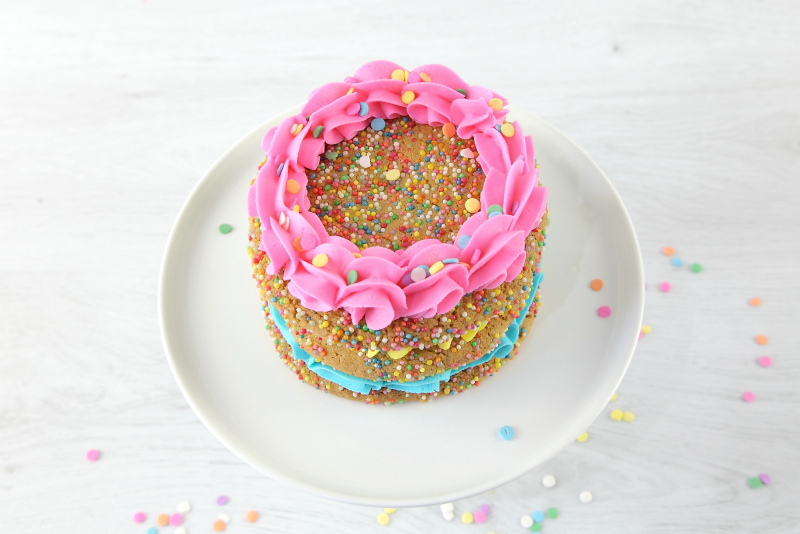 I made a sprinkle cookie cake! 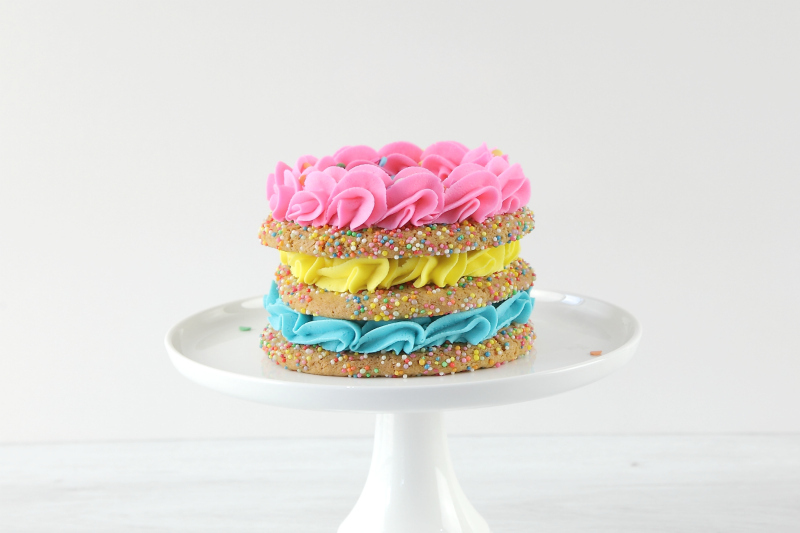 Yes, it’s a stack of yummy cookies, filled with delicious buttercream. We have a friend, and she loves cookies. And sprinkles. Apparently they are life. I can’t say I disagree, so I decided to make her birthday extra sweet, and whip up my first cookie cake! I wanted it to be really playful, and fun. So I went extra bright on the buttercream, using Americolor gels. 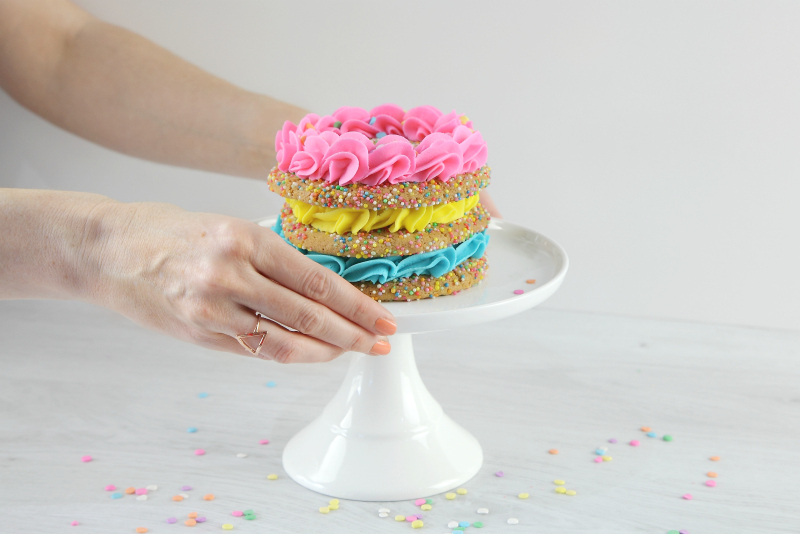 I topped it off with giant confetti sprinkles because, lets face it, at this point, you just have to own the whole crazy thing, and pile on more and more. So I’m not going to lie to you, some sprinkles went everywhere during the cutting of this cookie cake, but it was well worth the mess. Enjoy! In a large bowl, cream the butter and sugars using an electric mixer, for 2 minutes, or until smooth. Beat in the eggs, one at a time. Add vanilla extract. In a medium bowl, sift together the flour, baking soda and salt. Add this to the mix on lower speed, then increase to medium speed, until fully combined. Wrap the mixture in cling wrap, and chill in the fridge for 1 hour. Divide the mixture into 9 equal balls, and flatten to about the size of your palm. 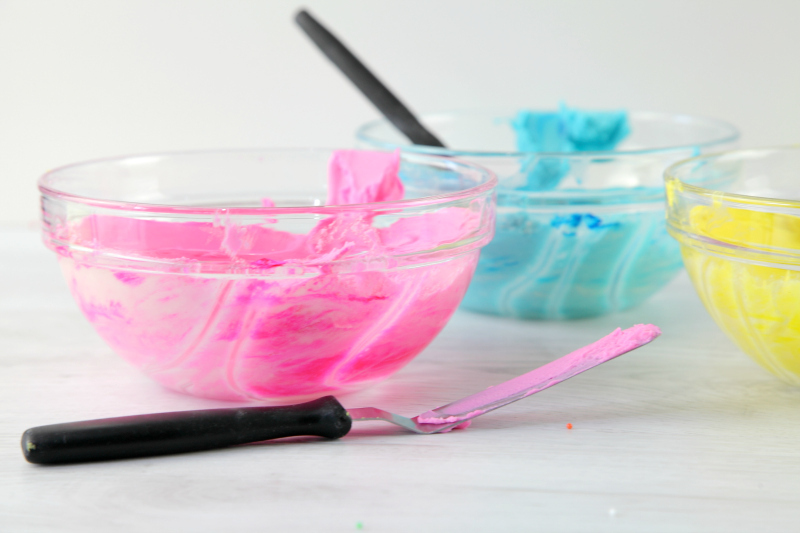 Take the sprinkles and place them in a small bowl. 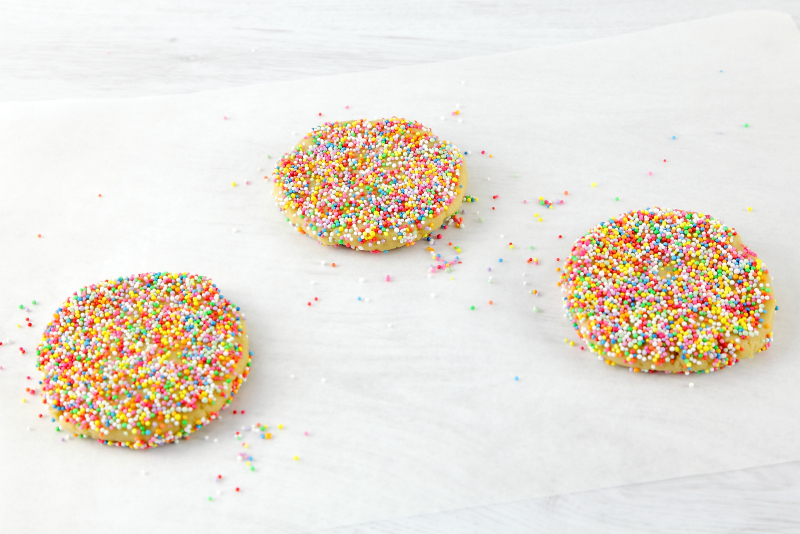 Press both sides of the cookie into the sprinkles. Bake on a cookie sheet lined with parchment paper, for approximately 14 minutes, or until edges are browning. Let stand for 5 minutes before transferring them onto a wire rack to cool completely. Cream the butter using an electric mixer for 4-5 minutes using a paddle attachment. This should lighten both the texture and the color of the butter to a pale yellow. Sift the sugar, and then add it to the butter one cup at a time. Beat on medium for a minute, before adding the vanilla. Add food colours are desired, and then stack that cookie!